There are tons of recipes I want to post. I was sitting here with Justin asking him what recipes I should post for today.. and he suggested one of his favorites.. Greek Salad. 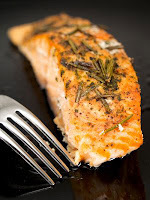 I also have an EASY Salmon recipe that uses Greek seasoning, so I decided to make this a Greek Themed Recipe Wednesday. They are so easy, I think you could have both recipes done and on the table in 15 minutes. (You can adjust this recipe to how many people you will be serving). -Cut Salmon into 4 oz servings. -Place Salmon on foil covered baking sheet. -Pour 1 Tablespoon Lemon Juice over each serving of Salmon. -Spray Butter over each serving of Salmon to coat. -Sprinkle 1-2 Tablespoon of Greek Seasoning on each serving of Salmon. -Broil Salmon uncovered for 8-10 min. -Toss all ingredients and coat with dressing. YUM!! I have been looking forward to recipe Wednesday! 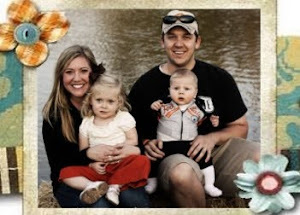 :) BTW...I love your new flash on your page (Loving my life as Mommy & Wife)...SO CUTE!! !